Zusätzliche Informationen AUTOCLIMA - Clima unit -Klima unit for construction equipment and trucks. Compact parking cooler for an easy fitting in the roof hatch of the truck. Precharged with R134a refrigerant. It fits on all hatches of trucks cabs: with a patented solution even with inclination higher than 25° like the STRALIS Iveco. Universal and specific installation kits for the most common models of trucks are available. 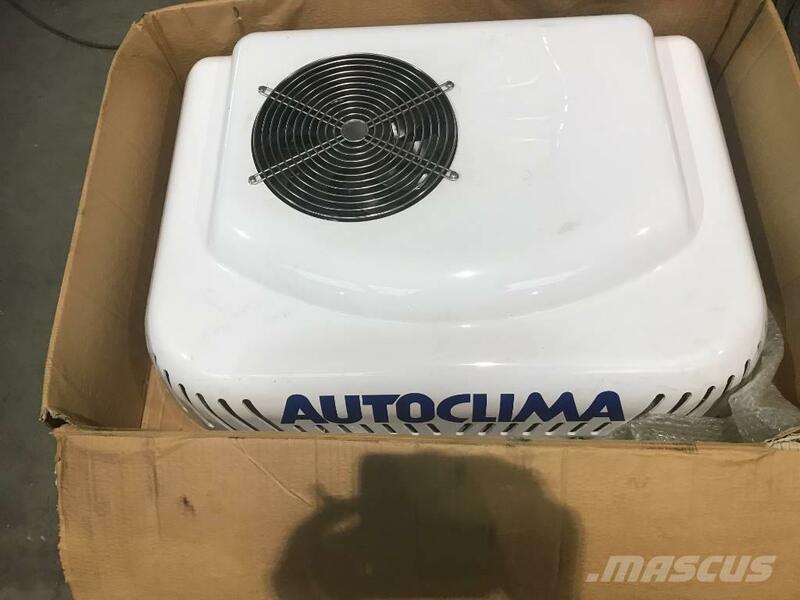 Auf Mascus Deutschland finden Sie [Other] Autoclima Fresco 3000 RT 24V parking cooler Gebrauchte Baggerlader. Der Preis für diese [Other] Autoclima Fresco 3000 RT 24V parking cooler beträgt 1.750 € und das Baujahr war 2018. Diese Maschine steht zum Verkauf in Gramsbergen Niederlande. Auf Mascus.de finden Sie [Other] Autoclima Fresco 3000 RT 24V parking cooler und viele andere Marken in der Kategorie Gebrauchte Baggerlader.